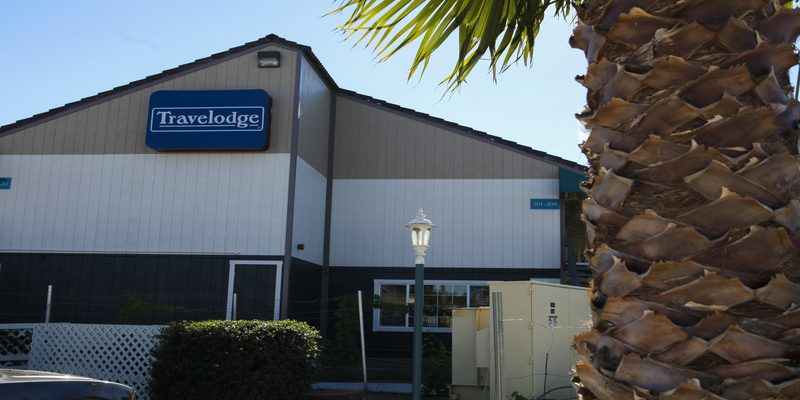 A gateway property to the Napa and Suisun wine valley region at the Junction of I-80N/680N, Travelodge Fairfield/Napa Valley offers the best rates in the region. The hotel offers a relaxed ambiance and fresh fun style. Life should always be this simple. Hotel features include a Club Room and Lounge with wide screen television, shuffle board, games and library, wireless internet access, complimentary breakfast and in-room coffee with microwave and refrigerators available. Nearby attractions include Napa Valley wineries and wine train, Jelly Belly Factory, Solano Town Center and Rancho Solano Golf Course.